Tantra practice is a powerful and fulfilling path and there are many practitioners in the field. However, you have to be aware of the dangers in the practice. One of the dangers of practicing tantra is falling into the hands of an uncertified tantra teacher. There are many supposedly tantra teachers who abuse and manipulate their students. Many tantra students have been abused by tantra guru and many have lost faith in the efficacy of the power of the practice. It is therefore important that you look out for teachers who have public profiles and recommendations when enrolling for tantra training. Your trust is very sacred, and you shouldn’t give it to just anybody. Certified tantra teacher that have been certified by Tantra Federation can be trusted because they have a public profile with reviews. This means you can check their reviews before enrolling with them. These teachers have a lot at stake, so they would not get involved in anything that can jeopardize their career. Another danger involved in practicing tantra with the wrong teacher is working with negative energy. Tantra involves sexual energy and it is very strong. When applied wrongly or in a negative way, it can destroy. Many traditional tenets of the practice recommend that practitioners go through the process of purification before working with sexual energy. The purification may involve fasting, yoga, Detox, or meditation, among others. When the energy is stable, the practitioner can begin the tantra practices. Certified tantra teachers that have been certified by Tantra Federation have gone through an extensive training to equip them with the step by step process of sublimating strong energy. These teachers know how to channel the energy and ground it when it is in excess. 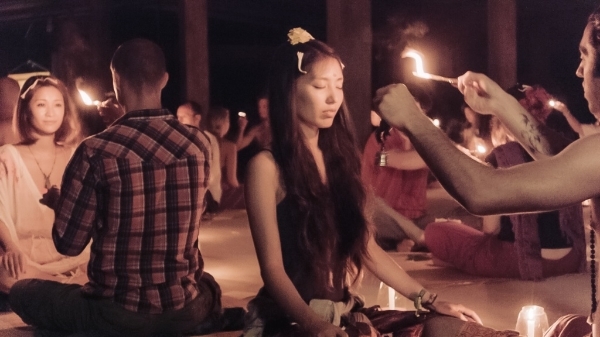 It is important to reiterate the fact that Tantra is beyond sexual technique. It is a spiritual path that entails a gradual process of releasing karma and moving towards a personal dharma, also known as a true path. It is a long process that takes time and persistence; it really doesn’t happen overnight. In most cases, you need the help of a Tantra guru (teacher) to take you through the journey. However, you cannot rely on just anyone. You need a teacher that is selfless and is willing to put you learning at the forefront of the teaching process. You need a teacher that will not take advantage of you by manipulating or abusing you. You need a certified tantra teacher. When looking for a tantra teacher, the first thing you need to look out for is their public profile and reviews. This will give you a clear idea of how they operate. Tantra teachers that are certified by Tantra Federation have public profiles on the federation’s site and you can read all their reviews before making your decision. Samma Karuna tantra teachers are all certified and have been equipped to carry out tantra training in a safe manner. They have all been certified by Tantra Federation and have gone through an intensive training to help other students become better tantra practitioners.